This is the dumbest story I have ever read. it drags on forever and the whole way through I kept wondering if there was going to be a point to any of it. Very disappointed in this book. Not interesting. Slow. Hard to finish. The story had a great plot that was somewhat expected but there were parts that were totally unexpected and a delight in twists and turns. The depth of knowledge used by the author to support the story is refreshing. Could have spent another chapter closing the story out as it seemed to have been missing something for all characters. another notch in the series of great reads overall but narrator of the audio book does not do much justice for the book, story or the writer. Very boring, could not finish it, narrator did not speak clearly. 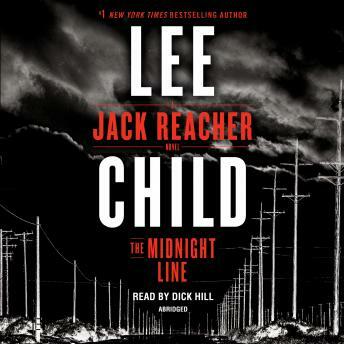 As a long-time fan of Jack Reacher, hard for me to not say it was super great, but it was not Lee Child's best. I think it could have been shorter and frankly, there are just too many books about the current opioid crisis. Using veterans was a unique twist, and Reacher is always entertaining; but, three of the last three books I have read have had this issue running through them. This is a terrible move. Bored out of my mind it. It dragged on without ever truly becoming engaging. I could not finish it, it was that bad. I like the Jack Reacher but this book should have never been written.